A week back, I was at the Data Insights Summit, where I got to hear in person many exciting updates for Power BI. One of the updates was the release of a preview version of a new custom visual – Visio for Power BI. 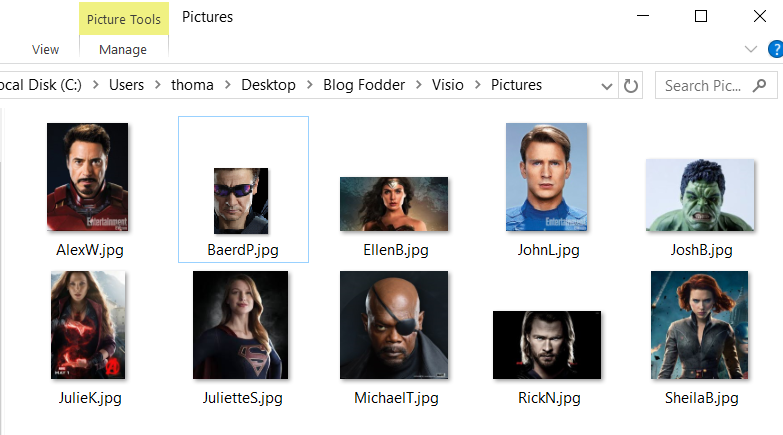 At that time itself, I registered myself to try out the new custom visual but it took almost another week for the team to send me the download files for the Visio custom visual (pretty sure they were flooded with preview requests from excited users like me). That said, I have been trying out the visual for the last 2 days and decided to write down a quick review of the preview version. You can request the private preview for the Power VI Visio custom visual by clicking on this link – aka.ms/visio-new and filling in the form. 1) For the purpose of this report, I created a simple excel file (OrgData.xlsx) containing Name, Title, Reports To and Salary. I also added some pictures of the employees in a folder. 2) I imported this data into Visio to create a Org Chart (follow the steps from this link). 3) Save the Visio diagram to One Drive for Business or SharePoint Online where your team also has access. Click on the Visio diagram and then copy the link into a text file for future use. 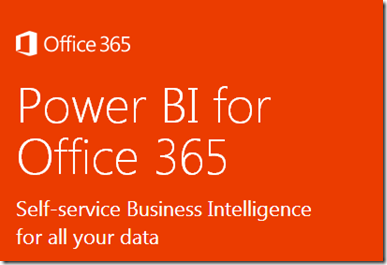 4) Now open Power BI desktop and import the Excel file with the org data. After that, import the Visio custom visual and select it on the reporting canvas. Add Name to the ID field, and then you should see a dialog box to input the Visio diagram’s URL that we copied in the previous step. Click on connect after that, and also add the Salary in the Values field, so that we can see the Org Chart display the colors. Check out the gif below for more details. 5) Notice that the visio diagram is not coming up in Power BI Desktop. This is a limitation of the current preview version, and the diagram will only be visible when you view it in Power BI Web. Add a simple table with Name and Salary next to the Visio custom visual and then publish the report. Now you should see the Visio diagram in the report. Note that you can click on the org chart and see the table getting filtered for the selection. However, it is not possible to make multiple selections using CTRL+Click in the Visio diagram, as we can do in the other native charts. 1) This visual provides a great way to make some cool visuals easily. 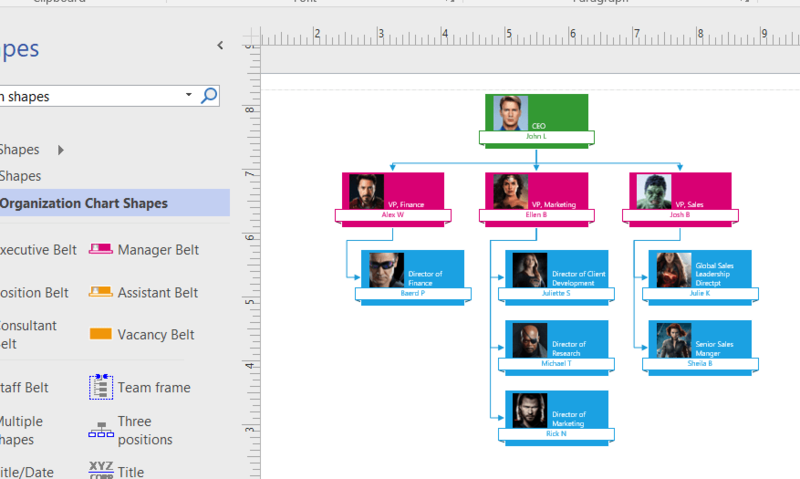 Apart from the Org charts, I also experimented with Flow charts, network diagrams, floor plans and it was great to see how easy it was to make those charts in Visio and integrate them within Power BI. 2) This is more of a Visio feedback rather than for the Visio custom visual for Power BI. You can use Visio to make some charts that are not available natively in Power BI like Org Charts, Flow charts, etc. 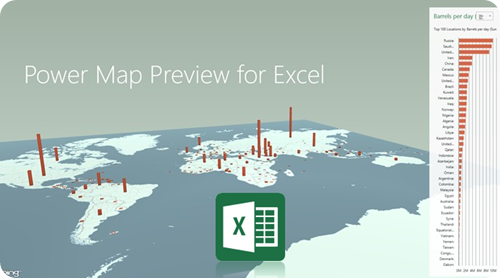 from Excel data (or other sources) automatically. So if something changes, it is easy to create a new one by importing the data again and then saving it in the same location in One Drive for Business / SharePoint Online. The Power BI report seems to pick up the latest version of the Visio diagram every time the browser is refreshed (even though the official documentation says that you might need to re-insert the custom visual sometimes). However, it would have been better if the shapes were automatically added or deleted in Visio based on changes in data, rather than manually adding them or recreating them. Even though this feature is not present in most charts, I did notice that there are some like the “Cross Functional Flowchart using Data Visualizer” in Visio where the shapes get added/deleted by just clicking the Refresh button in Visio. 3) I am pretty sure this is just a limitation of the Preview version – the visual gets displayed only on Power BI Web version and not in the desktop. 4) Currently, it looks like you can’t do multiple select (using CTRL+Click) on the shapes with the Visio custom visual. It would have been nice if we could do that just like we do in all the other native visuals in Power BI. 5) The usefulness of this visual can be greatly enhanced if there was a way to automate the refresh of Visio diagrams based on the change of data, saving the changed Visio diagram to One Drive for Business/SharePoint Online and then seeing the latest version without any issues in Power BI. I am still investigating if there is a way for it. 1. Visio custom visual needs to access the Visio diagram so in cases where Power BI user’s sign-in information can’t be accessed via Single Sign-on, the user might be presented with a sign in prompt and they need to sign-in to authenticate themselves. 2. If clicking on sign in button doesn’t do anything then it could be due to a known IE/Edge browser behavior when Power BI and SharePoint are in different security zones, please add both the Power BI domain and the SharePoint domain to the same security zone and try again. 3. Data graphics applied to Visio diagram from Visio client are removed. 4. In case your diagram has complex styles, themes, fill patterns etc., you might notice some visual differences between the Visio diagram in the Visio client and the diagram rendered in the Visio custom visual. 5. Large diagrams with shape count over 2000 are not supported. 6. 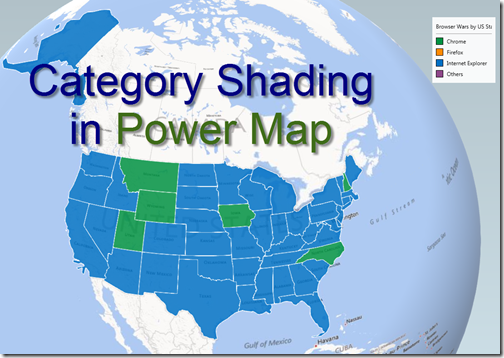 In case you need to add new shapes that map to your Power BI Data, or remove shapes that have been previously mapped please verify the report. In case you observe any issues, you might need to re-insert the Visio custom visual and map the shapes again. It is pretty exciting to see all these features in the Preview version of this custom visual, and I can’t wait to see what else is going to be available once this is no longer in Preview. Also, the general trend of trying to integrate different products like Visio and Power Apps into Power BI is extremely heartening.